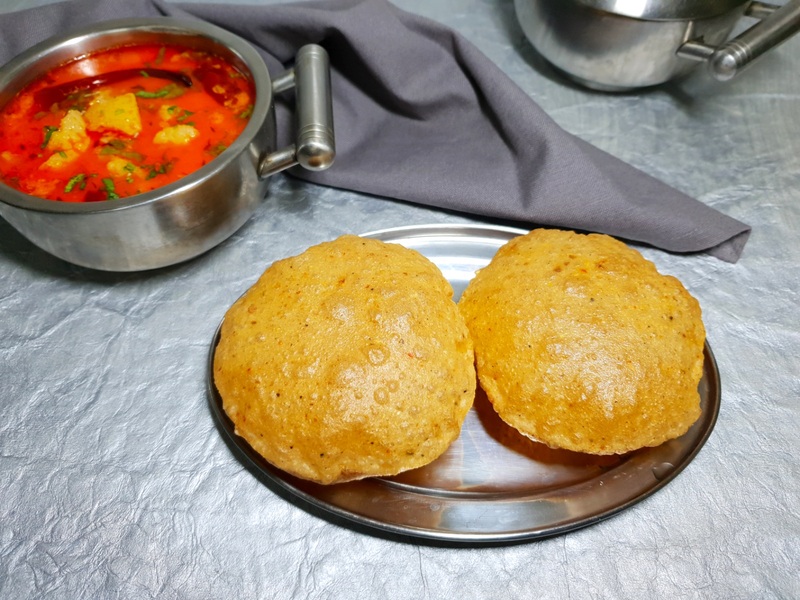 Poori and achaar is a very common combination. Especially during travels, both are packed and relished on the journey. 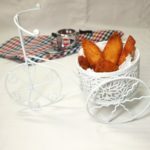 However, when the flavors of achaar are infused in the poori it becomes a very palatable deep-fried bread called achaari poori. The poori gets its essence from the versatile spice mix, achaari masala. 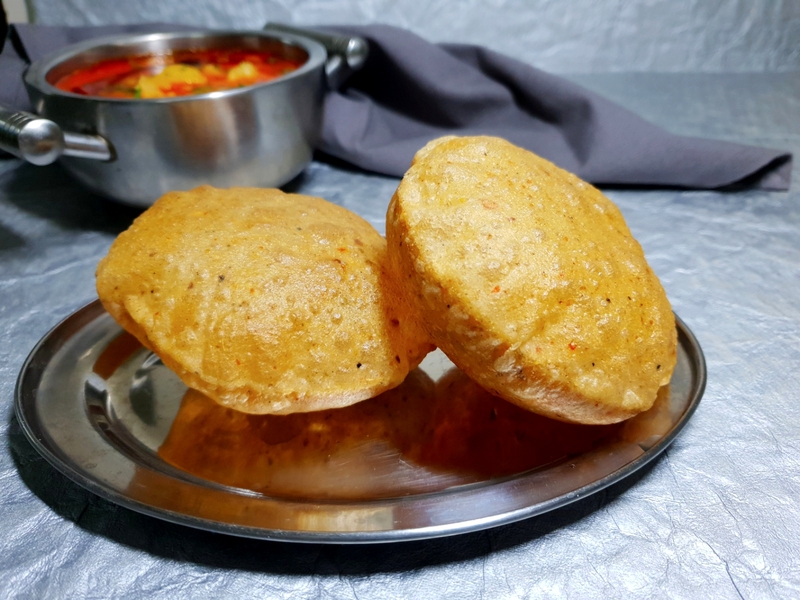 Achaari poori can be served with chai for breakfast or with any gravy or side dish for lunch or dinner. As already mentioned achaari masala is indispensable for achaari poori recipe. Achaari masala is super easy to make and is used to flavor poori, paratha, side dishes, dal etc. 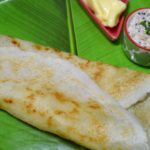 It combines the flavors of fennel seeds (saunf), onion seeds (kalonji), dry fenugreek leaves (kasuri methi) and many more. Correct quantity of masala should be added for the proper taste of achaari poori. Post for Poori Recipe shares lots of tips and tricks for making perfect pooris. Do check it. If you are a poori lover you are at the right place. 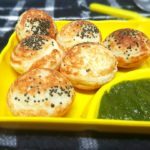 Here is a collection of poori recipes, you will love. 1. In a mixing bowl add all the ingredients except oil, i.e. 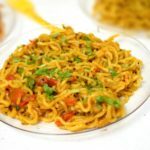 bring together 2 cups whole wheat flour (gehun ka aata), 3 tbsp achaari masala powder, 1 tsp red chili flakes, 1 tsp fennel seeds (saunf) and salt to taste. 3. Add water gradually to make a semi-stiff dough. 4. Take a portion and roll it. Roll thicker than a chapati. Simultaneously heat enough oil. 5. Put poori in hot oil. 6. Fry on medium hot oil. 7. When cooked from one side, flip and cook from the other side too. Take out on an absorbent paper. 3. Add water gradually to make semi-stiff dough. 4. Roll thicker than a chapati. Simultaneously heat enough oil.